Though Micah Stampley was born in Los Angeles, California, his family moved back to Baton Rouge, Louisiana, soon after his birth. He and his 7 siblings were raised in a Christian atmosphere, being children of Pastor Richard and Delmaire Stampley. Richard Stampley also worked as a free-lance carpenter, whose gifts included making fine furniture and cabinetry. Delmaire Stampley was a devoted mother and homemaker. 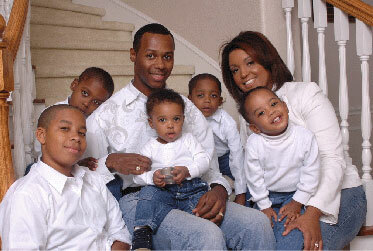 Micah Stampley and his siblings were blessed by love, guidance and strong extended family support, exposure to the Lord, a firm Christian foundation and Christian life style. Micah shared who he considered to be his closest spiritual influences:"My Grandfather "James Stampley Sr., my father and mother "Richard Sr. and Delmaire Stampley"; King of Ghana Africa "His majesty Dr. Kingsley Fletcher." Many seeds of faith were planted in Micah in his growing up years, and opportunities to get to know of the Lord through service and music were available. His personal relationship with the Lord on an adult level was the result of a growing process that most of us go through. The Lord is faithful to prepare us to handle whatever tasks He has in mind for us. Micah shares with ChristianMusic.com; "Yes, I am the product of a Christian home and I remember being in church quite a bit as a child, but my relationship with God wasn't taken seriously and/or developed until I matured in age, mentally and spiritually." The musical talent was very much evident in the family and extended family, which in turn encouraged the Stampley children to develop their gifts. Micah shares with ChristianMusic.com, "Most of my family is musically inclined. My influences were mainly my surroundings and relatives." Micah's musical influences growing up also included other artists: "The Hawkins Family, Sonic Flood, Daryl Coley, Shirley Ceaser, Michael W. Smith, Sandy Pattie, The Winans Family, Steven Curtis Chapman, Third Day, Andre Crouch, New Song and many many more." Micah Stampley's considerable musical gifts appeared very early in his life. At the tender age of 4, Micah joined the church choir because of his precocious gift for singing and performing. At age 7, Micah became the choir director at his father's church. He had to stand on a table so the choir could see him. ChristianMusic.com asked Micah Stampley about his early musical training. When did you start playing the piano/ guitar / etc. writing songs? "My writing was developed at the age of 11-10 years old. I've been singing for as long as I remember and my first instrument was the drums. Then, I started on piano after my dad began to pastor; the church couldn't afford a musician, so I had to learn how to play." At the age of 13, in partnership with his brother Nathaniel, Micah became his church's official music minister, starting his years of service through music. By this time, he had been writing songs for three years, partnered with Nathaniel; a brother that he was really close to, who shared his passion for music. Heidi Stampley, a registered nurse, not only became Micah's music writing partner, but she had the entrepreneurial spirit to later become Vice-President of their own record label, Levitical Records, and has always been a strong supporter for Micah's considerable musical talent. Micah's musical gifts were noticed and appreciated. In 2004, Micah won Stellar Award's National Star Search, and shortly after was offered a record deal with Bishop Jakes. This opportunity gave Micah much more exposure to the Gospel music audience, as well as giving him the opportunity to release a debut album, THE SONG BOOK OF MICAH. Bishop Jakes remarked, "Micah Stampley has he kind of talent seldom experienced in Gospel music; coupled with that special God-given anointing that causes our souls to soar. Listening to him is an experience you will always remember." THE SONG BOOK OF MICAH hit the music charts as "the second highest debut of a Male Gospel Artist in the history of Billboard." 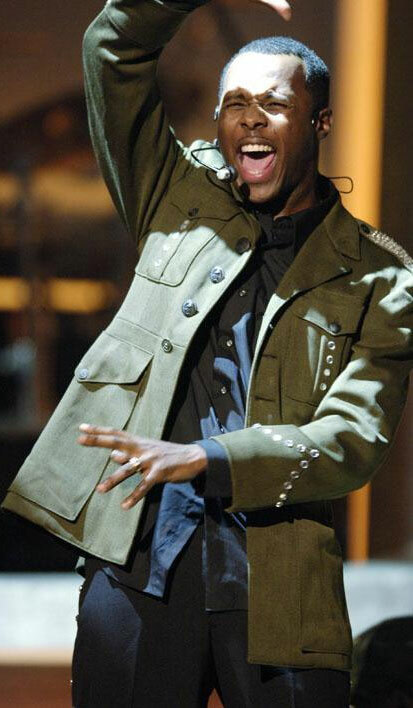 Micah Stampley was honored with two 2006 Stellar Award Nominations: "Male Vocalist of the Year" and "New Artist of the Year." Micah and Heidi formed their own record Label, Levitical Records, and released Micah's second album, A FRESH WIND: THE SECOND SOUND, which has earned two more honors for the 2008 Stellar Awards: "Contemporary Male Vocalist of the Year", and "Praise and Worship CD of the Year." Micah responds to his good news, saying, "To God be the Glory!!! !This CD was the first released on my own label so I am grateful to God for this honor!" A FRESH WIND: THE SECOND SOUND, a collection of songs which will soon be explored on ChristianMusic.com's Music Reviews section, is described by Micah Stampley as being "songs of the Lord," which have broad appeal and should bless listeners who enjoy great praise and worship songs which uplift and bring the listener closer to the Lord through music, and would find a home in a wide variety of church services. Micah explains, "Most of the time I find that the "industry" does not know how to categorize me to a specific genre. I write and sing how God gives it to me and they are songs that any race, nationality or culture can sing and/or receive from." The themes found in these stunning praise and worship songs explore AND express "the emptiness of life without Christ as our anchor, and celebrate, worship and praise our Lord and Savior Jesus Christ, for the hope and security that can only be found in the clutch of His Hand." Micah and Heidi do have a goal, a vision, a dream which they make clear on their Myspace page. “My vision and my wife’s as well, is to go beyond the arts as our sole means of ministry. The music is key to the ministry, and it’s where I’ve invested the greatest part of my life. But great songs about Jesus are not going to fill the stomach of someone who hasn’t eaten in days. Our dream is that these songs, and my albums, and whatever is to follow, will become part of a much bigger and multi-faceted ministry." Micah Stampley has been mightily blessed with a loving, talented wife, 5 beautiful children, opportunities to find success in his songs and ministry for the Lord in Gospel music, and has been given the desires of his heart by the Lord. He no longer prays for opportunities, but to just be ready for "whatever he has in store for us in the days and years to come."